Summer is in full swing. So whether you’re looking for ideas for date night or ways to entertain the kids on summer vacation, here are some of my top picks for things to do this summer. You can bet to find something happening almost every weekend during the rest of summer, no matter when you’re visiting. But if you’re looking for some cool things to plan a trip around, here are some of my favorites. 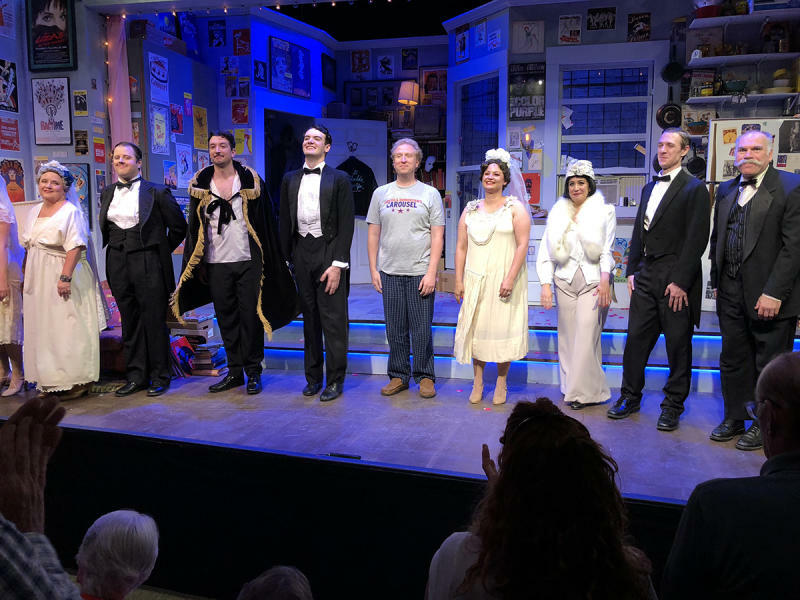 Bristol Valley Theater—Located in the charming Naples Valley, the theater has a small-town vibe, but the talent is top-tier! With a packed summer schedule, catch a show that will make you laugh, make you cry, or fill you with suspense and keep you on the edge of your seat. Good luck choosing which one! Music Across the Finger Lakes—The opportunity to experience performances by artists from across the country and around the world. I’m talking jazz, opera and orchestras. From keys to strings, there’s so much happening throughout the region, you won’t want to miss any of it. Soaking up that Summer Sun! Hiking Grimes Glen in Naples is so refreshing in the summer. Prepare to get wet—hiking through the incomplete trails at Grimes Creek means creek hiking. 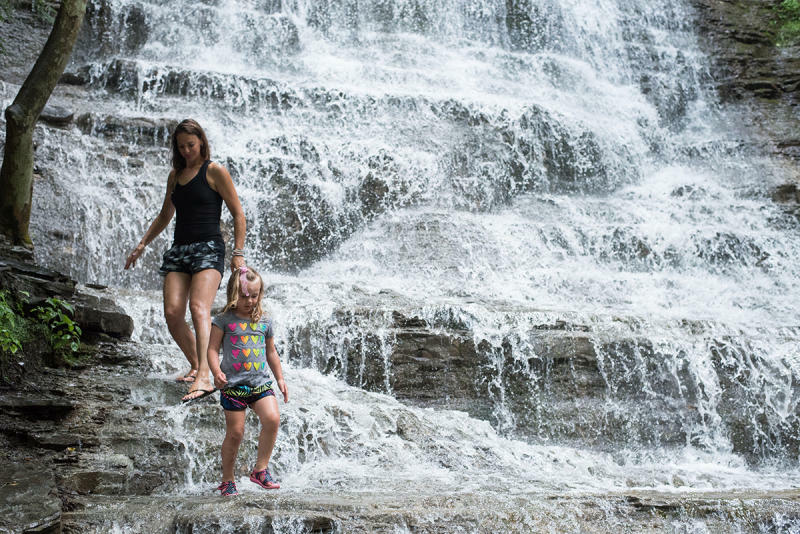 Grimes Glen is most known for its waterfalls, and the second falls open to a shallow swimming hole, so plan your hike! Wear a swimsuit, pack a snack and make an afternoon of it. Just make sure to leave no trace and keep it as beautiful as you found it! For more fantastic hiking, biking and paddling ideas, where to park and what to expect, check out GoFingerLakes.org. 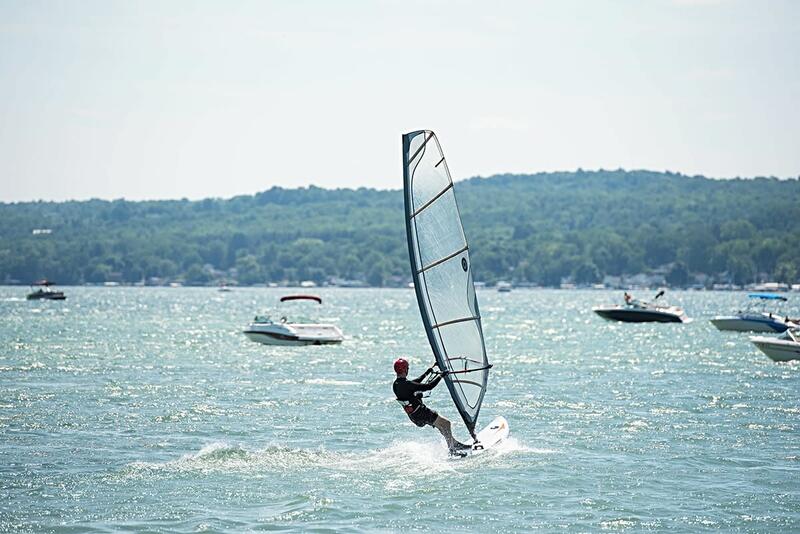 Ontario County has 15 places to launch a boat, six swimming beaches, and five of the 11 Finger Lakes to explore! You can rent a boat from one of the marinas or slow things down and rent a kayak, canoe or standup paddleboard from Canadice Lake Outfitters, Canandaigua Sailboarding or Finger Lakes Water Adventures. 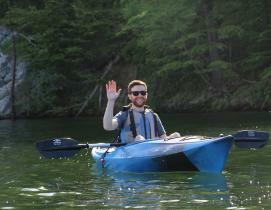 Canandaigua Sailboarding also has pedal kayaks for those who want to kayak and be (mostly) hands free! 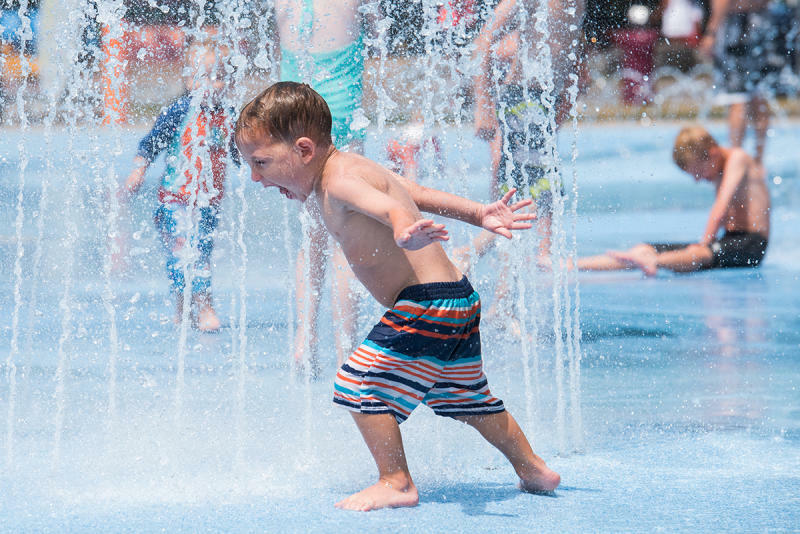 Roseland Wake Park in Canandaigua or the Sprayground at Seneca Lake State Park in Geneva for fun for the whole family. Roseland Wake Park is the first and only cable wake park in the Northeast. And you&apos;ll find over 100 jets at the Sprayground. Which jet with be next? If you’re looking for more ideas to beat the heat, we have a blog about that, too! Check it out! Cool down with a beverage or two! Wineries & Wine tours— Canandaigua Lake Wine Trail is 22 miles of beautiful scenery, with delicious wines and tons of shops and restaurants to round it out. Headed toward Geneva? Check out Belhurst Winery and Brewery at Belhurst Castle! Bonus! It also has two on-site bars offering up refreshing summer cocktails. 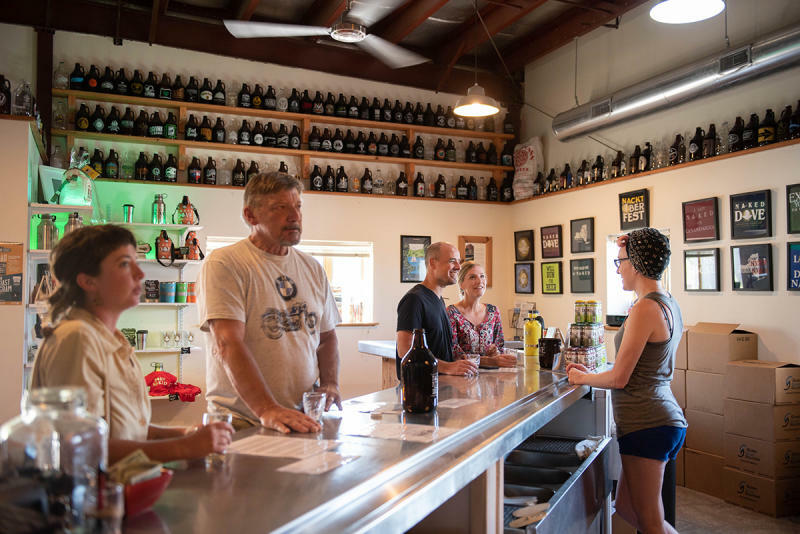 ROC/FLX Craft Beverage trail—A wide selection of wineries, breweries, cideries and distilleries await you with outstanding products. The trail runs through Rochester, Ontario County, and into parts of Wayne County, so pack a picnic lunch and get out to explore! Wow. This list isn’t even close to everything there is to do here, but it’s just a few of my own favorites to make sure you add to your summer to-dos! And don’t forget you can always sign up for our newsletter to receive fun, fresh content like this delivered right to your inbox with love from us. Why are you still here? Get out and explore!